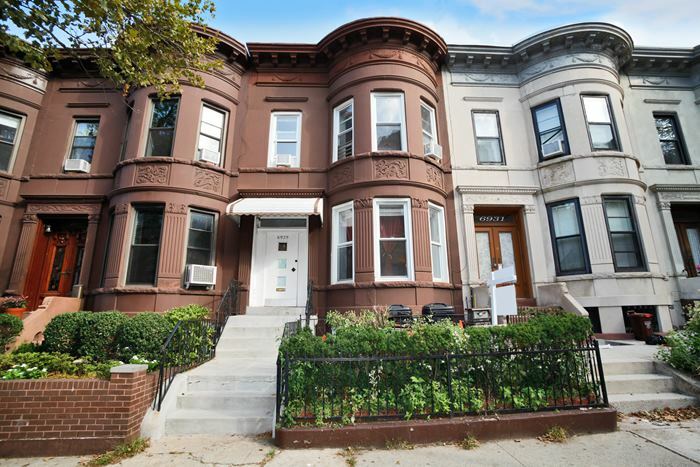 Two family brownstone with original detail & charm built in 1899. 8 spacious rooms. 4 rooms over 4 rooms with a finished basement. 3 baths. Original beveled mirror, beamed ceiling, french door and beautiful wood floors. Nice size yard to relax & enjoy. Near all. Steps from park & pier.